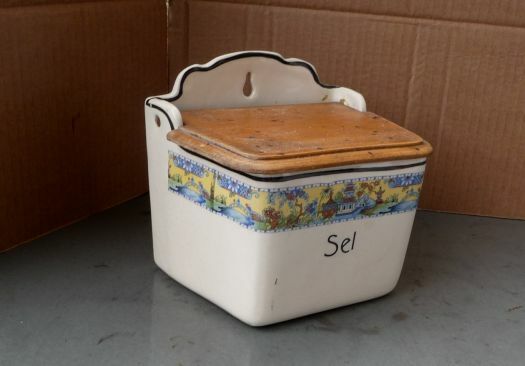 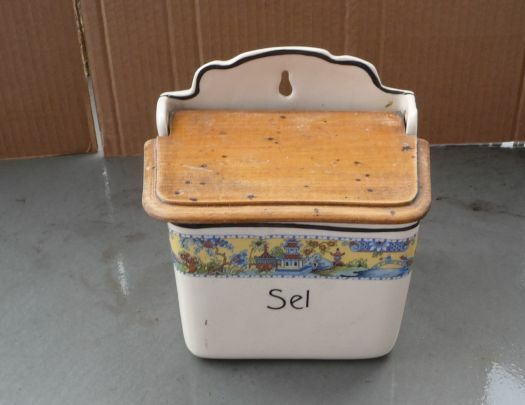 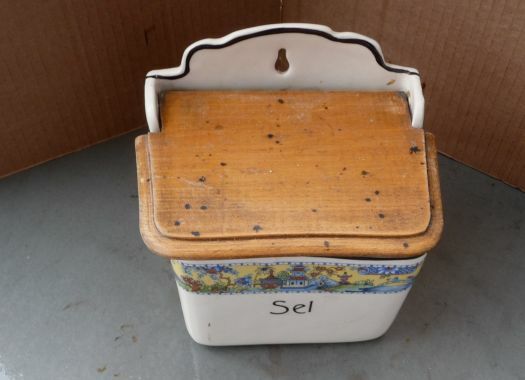 Nice salt box in earthenware, asiatic pattern, also on the sides of the box. 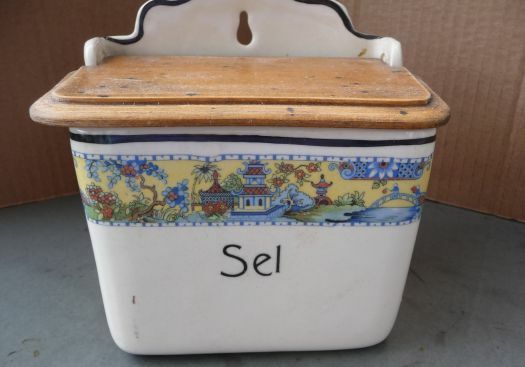 Good condition, there are however some black stains on the lid. 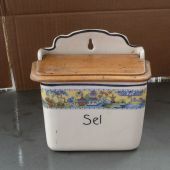 16,8 cm x 13,7 cm ; height 15,5 cm.